The feast of Passover, one of the most important Jewish festivals, will next be celebrated by Jews all around the world from 19th to 27th April 2019. Known as Pesach in Hebrew, Passover has been celebrated since about 1300 BC, and families coming together, from great distances if necessary, to celebrate together. The celebration last for seven or eight days depending on where you live. The Book of Exodus in the Old Testament of the Bible tells the story of Passover. The people of Israel had been slaves in Egypt for over years. Although God promised he would release them from slavery, it seemed that the Pharaoh (the king of Egypt) had other ideas! When Moses was a very old man, he and his brother Aaron visited Pharaoh and demanded, in the name of God, that he let their people go. Pharaoh refused, claiming that he did not recognise God. Moses warned him that God would send ten plagues to Egypt to show his power. First came the Plague of Blood. The River Nile was essential for Egyptian life, so when God turned the water of the River Nile, and all the water of Egypt, into blood, the fish and crops died and the Egyptian people suffered terribly. 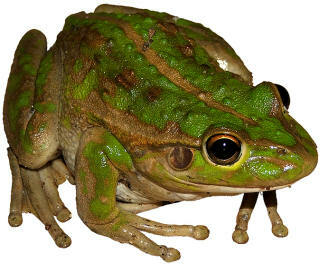 Second came the Plague of Frogs: Can you imagine if everything was covered in frogs? It sounds funny but I expect it wasn't very nice! We have a Plague of Frogs colouring page, below. After the frogs, came the the third plague, the Plague of Lice. Everything and everyone was covered in creepy crawly itchy lice. Fourth came the Plague of Flies. Flies swarmed into Egypt in huge numbers and got everywhere! 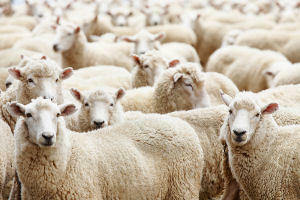 After the flies came the fifth plague, the Plague on Livestock. All of Egypt's animals - horses, donkeys, camels, cows, sheep and goats - died. Egyptians began to be very hungry. Next God sent a Plague of Boils. Boils are very painful infected spots, and the people of Egypt and all their livestock were covered with them. Can you imagine things getting worse? After the boils came the seventh plague, the Plague of Hail, with a huge hailstorm which flattened down any surviving crops. The hail stones were so big that they killed people and animals! Eighth came the Plague of Locusts. Locusts swarmed into Egypt and munched up any crops which were still standing, leaving nothing behind them. After that, for the ninth plague, the people of Egypt were terrified by the Plague of Darkness. The sun disappeared and for three full days Egypt went dark. The Tenth Plague - the Plague on the First-born. God told Moses that one of his angels would go from house to house and kill every Egyptian first-born son! To save Israelite children from the same fate, Moses should tell his people to follow some very specific instructions: to kill a lamb and use its blood to make a mark on their doors, then to roast and eat the lamb with bitter herbs and unleavened (flat) bread, while dressed for a journey. Sure enough, at midnight the angel went through Egypt and every first born son was struck down, including Pharaoh's son. The Israelite households were passed over (which is where the name of this holiday comes from). The people of Egypt were terrified and called on Pharaoh to banish the people of Israel right away, which he did. In fact, the Israelites left in such a hurry that there wasn't time for their bread dough to rise, which is why no risen (leavened) bread is eaten during Passover now. Moses led the people out of Egypt. First comes cleaning! Every tiny speck of leaven (chametz) must be removed from the house before celebrations begin. Children join in. The day before Passover, first born sons fast to remember the Plague of the Firstborn. On the first two nights of Passover, families and friends gather together to celebrate with a ritual seder meal. 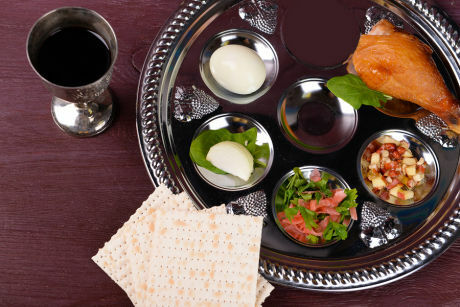 Special plates and cutlery are used, specific food is eaten, and fifteen steps are observed in order, including eating matzah (unleaved bread) and bitter herbs, drinking four cups of wine or grape juice, reciting the Haggadah (the story of the Exodus from Egypt). The youngest child asks four special questions and the father answers. Sometimes a piece of matzah is broken off and hidden for the children to search for. One of the traditions of the Passover seder meal is that a stack of three matzah (unleavened bread) are placed in the centre of the table. Before the meal begins, the middle piece is broken in two and one piece is saved to be eaten at the end of the meal. The Elijah Cup is placed on the table at the seder meal for the prophet Elijah to join the feast. They are often highly decorative. Download and print our worksheet to decorate your own Elijah cup. At the seder meal of Passover, it is traditional to set the table with glasses for wine (or grape juice). An extra glass is always placed on the table and filled, and at a certain point after the dinner the door is opened for a minute or two so that the Prophet Elijah may enter if he wishes. The fifth cup on a Passover seder table is left for the prophet Elijah. As part of the feast children open the door to invite him and watch for ripples in the wine. Print our symbolic Elijah Cup poster for your classroom display to learn more about the customs of Passover. This colouring page tells the story of the baby Moses, left in a basket in the bulrushes along the edge of the river Nile, and found by one of Pharaoh's daughters when she heard a baby crying. This illustrated story paper is designed so that children can tell the story of Moses discovered in his basket amongst the reeds in their own words, or perhaps to copy out a passage from their Bible. We've provided a picture to colour in, too. Print out this Moses mask onto printer card and cut out. Laminate if you like, and perhaps cut out the eye-holes before using sticky-tape to attach to a large lollipop stick or small wooden spoon. This lovely craft - which could be given as a card or placed out on display, shows the Exodus account of Moses parting the Red Sea with his staff to create passage for the Israelites to leave Egypt. Our colouring page illustrates the Exodus story in which Moses holds up his staff and God parts the Red Sea to allow the Israelites to escape from the Egyptians. Children can use this story paper to tell the story of Moses parting the Red Sea in their own words, or perhaps to copy out the story or some Bible verses. Then they can have fun colouring in our illustration. There are four versions of this acrostic poem printable to choose from, ready for the kids to try at Passover. Their poems will have eight lines, each starting with the appropriate letter of the word. What will they come up with? Print this Passover card onto an A4 sheet and fold in half. That gives you plenty of space for the kids to write a message or draw a picture inside! Learn more about the celebrations that mark the Jewish festival of Passover by reading the text and answering the questions on our Passover Celebrations Comprehension Worksheet. Here's a fun decorated journal page that children can use to record their Passover activities and meals. Date it and keep it for a memento to treasure! This is the easiest of our three Passover mazes. Trace a path through the maze to find the afikoman. A great way to practice pencil control. The afikoman has been hidden as part of the seder meal. Can you help the boy find his way through the maze? The afikoman is half of a broken matzo bread hidden during the seder meal for children to find. This maze may require a little patience to find a path through. This lovely lettered paper is perfect for all your Passover writing projects and comes in three versions: blank, lined and with handwriting lines. This simple writing paper features an Elijah cup for Passover and comes in three versions - blank, lined and with handwriting lines - so you can use it for a variety of projects and with a range of ages. 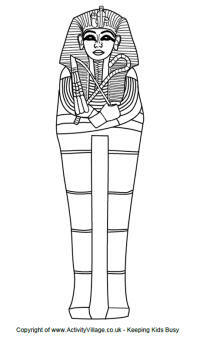 Print our Pharaoh mask out onto card and then cut out for role play or display. It might be useful for your Ancient Egypt topic, for Passover or for Bible studies. This fun Bible colouring page shows Pharaoh surprised by the plague of frogs which God sent to Egypt, just one of 12 plagues designed to encourage Pharaoh to let the Israelites leave. Here's a great activity for Passover or Bible studies. Using this story paper, the kids can retell the story of the plague of frogs (or all the plagues) in their own words, and then colour in the fun picture! Here's a colouring page for Passover of a small family enjoying a seder meal. There's lots of fun colouring details! Perfect for learning about Passover customs or for keeping children busy during the preparations, print and enjoy our seder meal word search. The seder meal is full of ritual and the food eaten is symbolic. Our seder meal worksheet asks children to find out about the foods eaten and their meanings. A traditional seder meal is eaten at Passover, with particular foods for particular reasons, on a special seder plate. Here is a colouring page for the kids to enjoy. Cut out the food items and stick them to the correct place on the seder plate. We have two versions to chose from; one with traditional labels and the other with English food names. 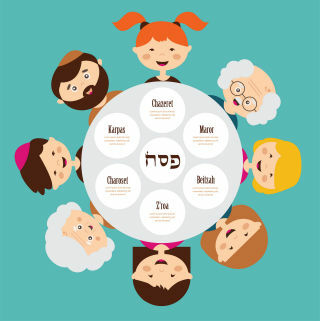 Learn about the symbolic foods on the Passover seder plate with our bright and colourful poster. Children can learn about the story of Passover by reading the text and answering the questions. How about having a look at our Ancient Egypt activity ideas?